Mary Jane's TEAROOM: A Tearoom Giveaway! and now seems to be the perfect time to have a little celebration! ...you may be the winner!! Love everything!Perfect spring colors.Thank you for the chance to win it. What a gorgeous, generous giveaway Susan, thank you so much for the opportunity! Wow, you are so generous. I love stopping by and seeing what you have been creating. You're such a inspiration. And I am one of your many dedicated followers! Love your patterns. So far I've made all the mice. I'd like to try a bunny next. So you have a duck pattern as my daughter loves ducks. Hello Susan - I could hardly believe my eyes - such a beautiful giveaway! The colours are just wonderful, and whoever the lucky winner might be, they will treasure all those wonderful things! Could you please enter my name to the draw too? What a lovely give away! I would love to win! Fabulous! You can pick my number, I'll let you. I will be starting the dolls soon and these would be perfect for their clothes. I don't know if you accept entries from Spain since I know that sending something abroad can become quite expensive, in case you do I would love to join. I love your blog and these give aways a gorgeous!! Thanks for the chance to win...those buttons look divine. I'm certainly a follower!!! Good luck to everyone!!! Oh my! The colors are gorgeous! I'd love to win these goodies! What an awesome giveaway - the colours are wonderful and I love the purse fabric too. How special!! You have such a pretty site to visit. Thanks for the chance to win! Your work is fabulous and I follow on Bloglovin' and Facebook. Me gusta visitarla cada vez que publica una entrada nueva, y hoy me he llevado una sorpresa al ver que organiza un sorteo con unos regalos preciosos, me hace mucha ilusión participar , gracias por la oportunidad que nos brinda .Gracias! I love Cath Kidston - yes please for the giveaway! What a great giveaway - yes please! OOOh yes please ,love love love Cath Kidson and such lovely wonderful woolliness, just perfect for baby hat and booties. 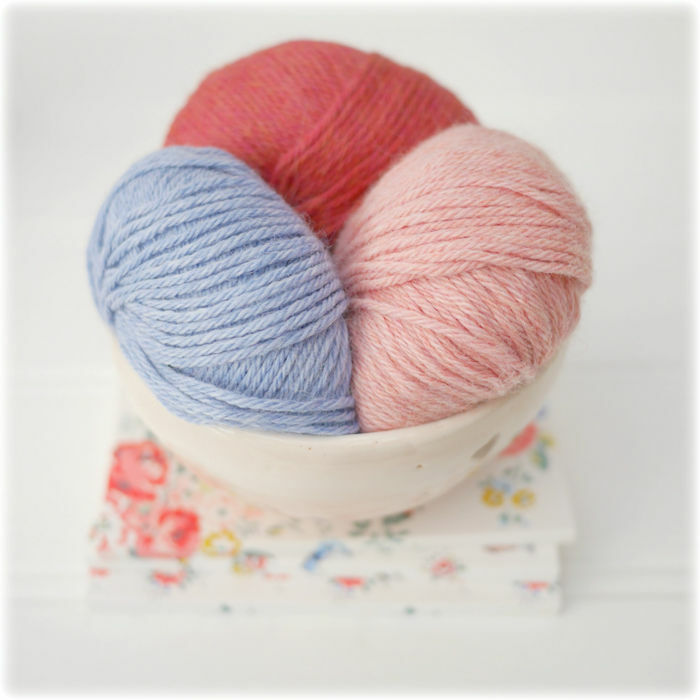 Beautiful yarn in such lovely colors. I will cross my fingers!!!!!! What a lovely giveaway-my favourite colours! I love your patterns! I've made a couple Little Yarn Dolls and would love to try more of your patterns. Whoever wins your giveaway will be very lucky! I would like to win this lovely prize and thank you for this opportunity. Love it all, especially the Cath Kidston purse. So pretty! I follow on Bloglovin and Facebook too. I'd love to enter your generous giveaway. Thank you so much for the chance. Love the wallet and your patterns! Hello! I follow on Facebook and just subscribed to follow on your blog. I love your beautiful designs AND I love Cath Kidson stuff! I adore your patterns! Romeo is hard to keep track of because everyone wants to take him home. Nice give away. Always love your things. I love your blog! The colors that you use are so pleasant! Your dolls are wonderful and lovely! Sweet giveaway! Yes I also follow you on bloglovin. I'd like to take a chance on winning! I just love your site and your blog,Susan. It makes me smile every time and inspires me to create lovely things,thank you! Making your bears has really blessed me and they are so loved by others. What a wonderful giveaway! I love this springcolours. Thanks, for the chance to win! Looks like a very lovely and generous giveaway! I would love to win. WOW, is that ever a spring-like gift of FUN! Dearest Susan, happy Monday!! The colours are beautiful, Susan, so springlike. I would like to enter your giveaway, please. Also, I do follow your blog (and have one white mouse, dressed in yellow and pink, to my credit, thanks to your lovely pattern). I very much like this give-away, so please add my name to the list. Thanks for all your inspiring blogs. Second entry, because I'm also a follower via Bloglovin. Second entry, because I follow your blog via Bloglovin. 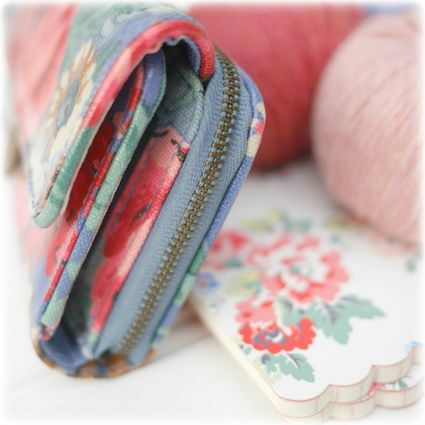 I have just found your site through sew sweet violet. You have created so many beautiful things. Looking forward to going back through the archives. Wonderful giveaway - my favourite colours! I always enjoy reading your blogposts. What lovely items you have in your give-away. Amazing colours. I'd love to join in. is that yarn!!!! Count me in. I would love this - I have knitted several of your dolls for my grandchildren and they love them!! What a sweet giveaway! Please count me in, thank you! The colors are so beautiful. I woud like to join the give-away. 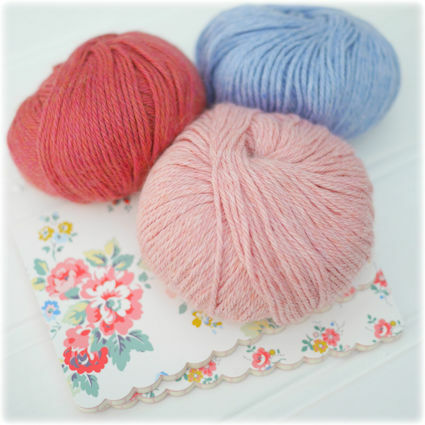 What a beautiful giveaway from a very lovely blog! Oh that is so nice!!! And that could be perfect to me as I have the Cath kidston Bag to go with! I follow you on Pinterest and Bloglovin so I enter a second entry. What an incredible giveaway! Thank you so much for the chance to win! Colors so reminiscent of your lovely "tearoom." I would be so thrilled to win! I have knitted all the animals and dolls at least once. Your patterns are amazing - so easy to follow and each project turns out beautifully and just as expected. All our your creations have found homes with friends and family and I keep getting requests for more and more of them... Thanks Susan for your beautiful patterns! Sooo sweet! I love the colors! Beautiful colours - thanks for the giveaway! I have recently bought your pattern for the little yarn dolls and am in the process of making Sky, the instructions are fab, love your patterns and blog. I am in the process of knitting one of your bears for my granddaughter. Love your patterns and this give away! Of course I am follower of your wonderful creative blog! I love your blog posts and FB . I just came on your blog and love the the patterns you make! Well My Goodness! What a lovely little Give Away! Thank you! I follow you here and on face book, love all your posts and photos, would love to win Susan. Such a beautiful giveaway! Thank you so much! I have been following you for a long time, I love your beautiful pictures, you have such a good eye for colour. My latest blanket has been crocheted in the same colours. I can't get enough of your lovely projects, my daughter has more than one of your dolls and little cute bunnies! A wonderful giveaway. I also follow you on facebook! What a lovely giveaway just in time for spring! Your colours and patterns are most adorable. Oh, I hope to win. Thanks for the contest! It never ceases to amaze me how kind and generous people can be - thank you! Your blog and your images are delightful. I have made Crystal and I love her, she is so adorable! All of your patterns are gorgeous! Thank you for the chance to win this awesome giveaway. Thank you so much Susan! Such a lovely giveaway to have the opportunity to win. Hi I have purchased a few of your patterns, yarn doll being my resent purchase and have made three already. I love your patterns they are so easy to follow. Your bog is lovely and inspirational. Your patterns are amazing such attention to detail, I just love them. What a generous giveaway, thank you for the opportunity to win! 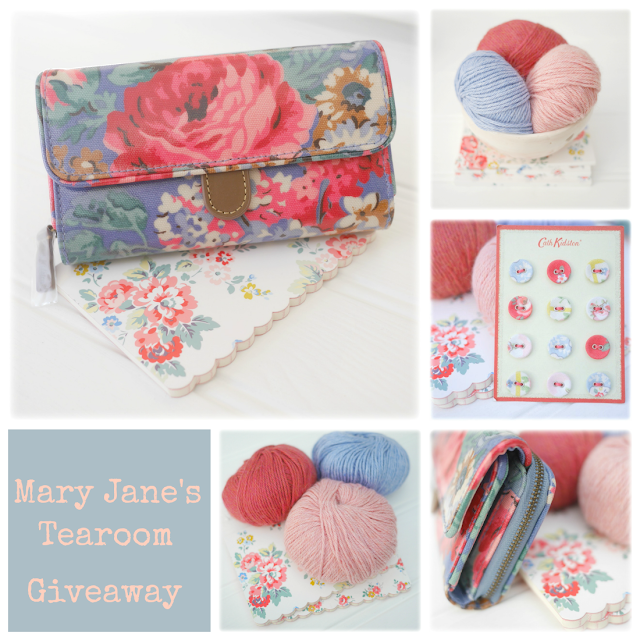 I follow you on Facebook which is where I read about this fabulous giveaway! Such a lovely giveaway. I would love to enter. Such a beautiful giveaway Susan. I have all of your gorgeous patterns and always look forward to a new one being available! such a lovely giveway !!!! Thank you for such a pretty website and for the chance to win such a pretty give-away! Your knitting and your photography are so beautiful. You are very talented and very kind to share this chance to win your basket of goodies...thank you! Muchas gracias por el sorteo, es realmente bonito. Have just made Layla but can't find the loop mohair anywhere �� Any suggestions? Oh my. I just found this website, and Im over the mood happy for such a wonderful find. Thank you. What a lovely give away count me in. Cannot wait to see your finished items the cowl and Aran hope you got time at the weekend to knit. Always look forward to your blog, thank you for sharing your ideas and makes with us all. What beautifull things to win in the give away!! I think you are so sweet to give them away!! I just love to enter in. I love to read your blog and love what you make. I get inspired by your work!! Adorable patterns and inspiration. Lovely colors. I was searching ravelry for knitted dolls and fell in love with yours. I plan to make one soon! Thank you for the opportunity to enter this giveaway .Just lovely of you ..
Great giveaway. Hope I win. Thanks for the chance.